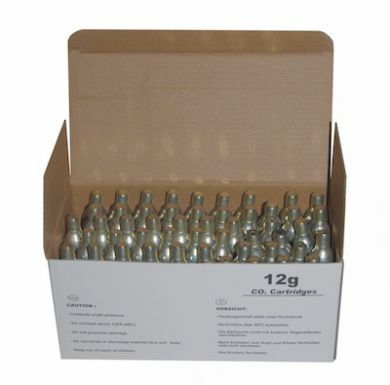 Box of 50 threaded Co2 cartridges. Manufactured in Hungary by Liss Patrongyarto Kft. Liss CO2 Cartridges are made of 100% recyclable steel, they are lacquered or anodised and not refillable.